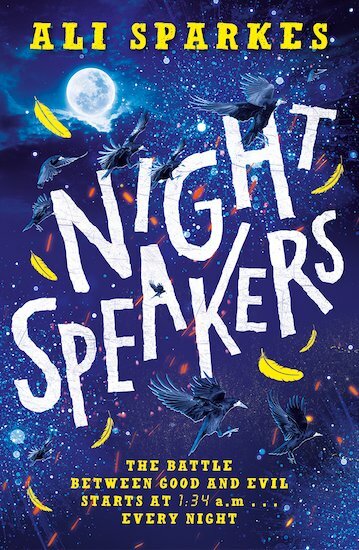 Ali Sparkes is the author of lots of children’s books including the award winning Frozen in Time, and the Monster Makers, Shapeshifter and S.W.I.T.C.H. series. She’s also a journalist and BBC broadcaster who regularly exploits her sons, as an in-house focus group for her children’s novels. She reckons it’s a fair trade for being used as a walking food and drink vending machine. Ali was a local newspaper reporter and columnist before joining BBC Radio Solent as a producer and presenter and then chucked in the safe job to be dangerously freelance and write scripts and manuscripts. Her first venture was as a comedy columnist on Woman’s Hour and later on Home Truths. She grew up adoring adventure stories about kids who mess about in the woods and still likes to mess about in the woods herself whenever possible. Ali lives with her husband and two sons in Southampton.